This was probably one the most well done pieces of cinema I've ever seen. The credits alone were better than most things I've seen Hollywood throw out these days and I would suggest that it should be the starting bar for modern cinematography. Flawed but brilliant. Ive never seen anything like it. 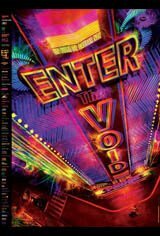 The best 3d technology cannot hold a candle to the immersive experience ENTER THE VOID gives you.